Looking for cheap international flights? I'll show you my personal 3 step process to finding the best flight deal 95% of the time - and all in just 20 minutes or less! Why You Should Listen to Me: I've been traveling internationally nearly non-stop for almost three years, covering 44 countries and 6 continents along the way. I've taken a ton of flights - and rarely paid more than a couple hundred dollars for them. I've spent countless hours searching for cheap international flights on virtually every search engine available. And I can tell you definitively that most of them promise way better results than they can actually deliver. So to save you time and money I put together this ultimate guide to finding cheap international flights. 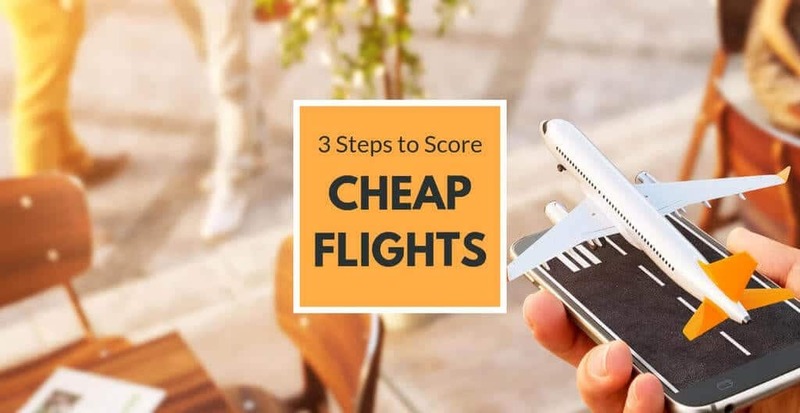 I'll go over my #1 rule for finding cheap flights and walk you through the exact 3-step strategy I personally use nearly every week to find my own flights. And, no, this doesn't require any miles or points (that's a subject for another post). Full disclosure: These are the sites I personally use to find my own flights. I am not affiliated with Google Flights or ITA Matrix, but I am an affiliate of Jetto and may receive a commission from them for referrals. Don't have time to read the full detailed guide to finding cheap international flights? Download the free Jetto App on iTunes or Google Play and enter referral code "fly2019" for a free premium trial. 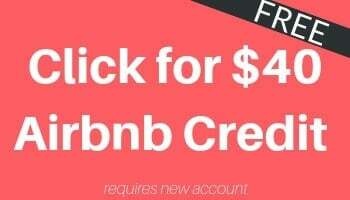 That's it in a nutshell, but read on for a full walk-through of how to implement this strategy (or bookmark this page for later, or click here to pin it on Pinterest). Before I walk-through my three-step process for saving money on flights, I want to explain the number one rule that underlies my process. 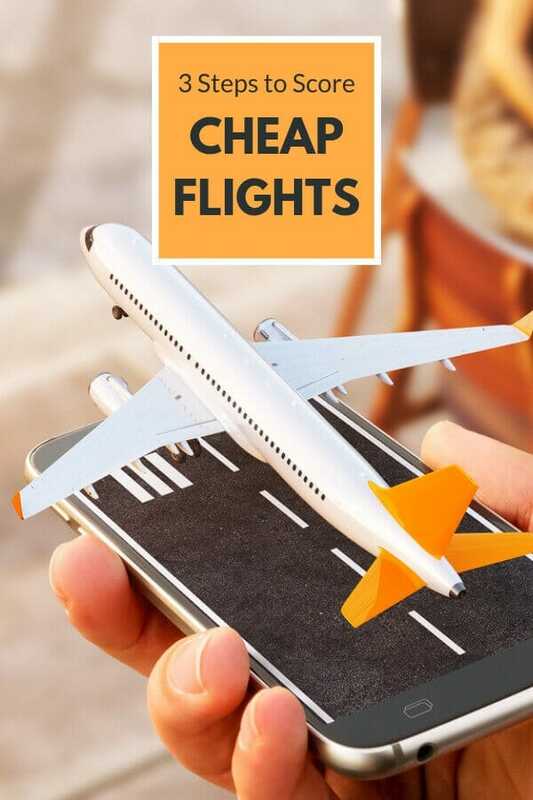 This requires a bit of a digression, so if you just want click here to skip to my 3-step process for finding cheap international flights. But I really think that taking the time to truly understand this rule can totally change the way you think about finding cheap flights. So what is my number one rule for saving money on flights? What are the three “Ds”? The more of these three you can be flexible about, the more you will save. Well, it really comes down to a matter of math. The more possible flights you can price out, the more likely it is you will find that gem of a deal. That said, it’s ok if you have to be firm about one or even two of them. But if you’re committed to flying from a particular airport to another particular airport on a set day … well, that’s where the airlines make their money. how to increase your chances of a great flight deal by up to 4,960 times! Don’t believe in the power of the three Ds yet? Let’s go through three quick examples to show how maximizing your flexibility with the three Ds can open you up to nearly 5,000 times as many options for potential flights (remember: more potential flights = more potential bargains!). First, we need to make one assumption: let’s assume for argument’s sake that on average there are 10 flights a day between any two given destinations (I know that’s not true literally, and it will vary quite a bit by airport pair in real life, but we need to make this assumption or else the following illustration gets way too difficult to convey). Now let’s start with a simple example: imagine you are trying to go from Philadelphia to Paris on a specific Friday. In our hypothetical, that would mean you only have 10 flight options. That’s it. If the cheapest of those is $2,500 … well, you’re going to have to pay $2,500. But let’s say instead that you’re a little bit flexible about dates. You’re willing to leave and return on either Thursday, Friday, or Saturday. And you’re open to taking the train to nearby Newark or Baltimore’s BWI if it means a cheaper fare. And you’re open to going to Amsterdam or Brussels instead (both of which are a train ride away from Paris). By just adding a little flexibility to your search, you’ve now got nearly 10 times the flights to choose from. And I can tell you from experience that means you are MUCH more likely to find a dirt-cheap flight. Ok, let’s say instead that you are willing to fly any day that week, are happy to go as far as Boston, New York’s LGA and JFK airports, or DC’s National and IAD airports. And you just want to travel somewhere really cool in western Europe, but are open not just to Paris, Amsterdam, and Brussels, but also to instead heading to Rome, Madrid, Barcelona, London, or Dublin. Yes, really: that's 4,480 flight options you can compare now! By adding this degree of flexibility to your plans, you increase your chance of finding that bargain airfare by almost 500 times! In fact, it doesn't have to stop there. If you were flexible about leaving any day of the month, and open to flying to 20 possible destinations across Europe, under our scenario above that would result in 49,600 flight options - and, no, that's not a typo! Ok, you get the point: flexibility means you have way more options. And competition equals savings. Never worry, my friend, it’s MUCH easier than you think. If you tried to run 4,480 searches for each of the potential combinations in Example 3, you’re probably end up going mad from frustration and boredom. Thankfully, you don’t have to! In fact, you could do most of it with as few as just 8 quick searches! 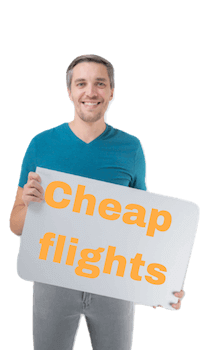 There’s a lot of opinions about what is the best search engine for finding cheap international flights. But after buying hundreds of flights all around the world, I’ve found that most flight search engines are ... pretty much the same. The first of those is Google Flights. Google flights is great because it allows you to combine the power of a flexible calendar search with a handy “explore” feature that lets you easily search nearly every airport in the world and up to six months of dates at a time. One note: the only one of our three Ds that you can’t easily search in one sitting is your departing airport. So, in our Example 3 above, you’d need to run this search process on Google Flights 8 times to cover all your bases. Know why most airfare search tools give basically the same results? Because the dirty secret is that many of them pull their data from the same sources. And what Kayak and Momondo and Expedia don’t want you to know is that you can search one of the main sources - the ITA Matrix - yourself! You don’t need their money-grubbing middleman paws in your way. Click here to access the ITA Matrix tool. Fair warning: though it’s more powerful, it’s not nearly as intuitive a tool to use as Google Flights (which actually now owns the ITA Matrix). If you prioritize your time, you can probably skip using the ITA Matrix and just use Google Flights. I’d bet that 90% of the time you’ll still get the best deal just with step one. Ok, so step #1 and step #2 can save you boatloads on cheap international flights. But wouldn't it be nice if there was a robot that would do the work for you every single day? That's why you need to download the free Jetto app (available on iTunes or Google Play) and enter referral code "fly2019" for a free premium trial. 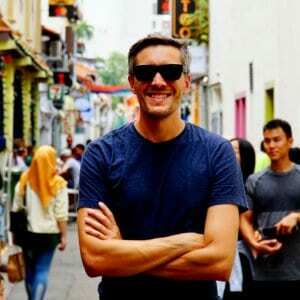 Created by my friend Trav, Jetto automatically searches for incredible deals on flights from your home airport and lets you know when it finds one! $383 to Shanghai roundtrip is an incredible deal! And that's just one example of the many awesome possibilities Jetto spits out every week! As you can see in the second image, when you click on it Jetto provides you with more info about when exactly the deal is available. From there you can go to the booking site and book a flight. It's really that simple! Jetto is 100% free, but they do have a premium version that will give you access to more searches. Note for International Readers: Unfortunately, at the moment, Jetto only works for searches originating in the USA and Canada. You can still use steps #1 and #2 above to find cheap international flights from your home country, however! Following the above 3 step process should land you a really great international flight deal 9 out of 10 times. Search discount carriers directly - Some discount carriers (Southwest in the US, most significantly) only make their inventory available on their own site. 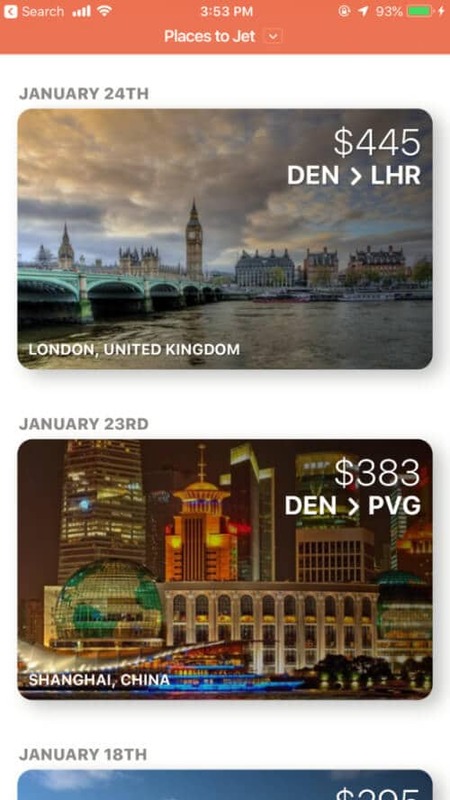 Look for hidden city flights - Technically this is against the airlines' terms of services, but apps like Skiplagged can help you find cheaper flights with a stop in your destination (you'll just have to carry on and ditch the last leg of your flight). Watch out for mistake fares - Sometimes airlines will accidentally publish a deal that's just truly exceptional. You have to act fast, but you can find them by following Twitter accounts such as Secret Flying. Play the miles and points game - This is a subject for a different post someday, but if you leverage credit card miles correctly, you can even fly for free! Act Fast - The best deals require you to snap them up quickly. Remember that for most flights originating in the USA, you're entitled by law to cancel within 24 hours, so that does give you some breathing room if you change your mind. Oh, one last thing: remember the environment and consider buying a carbon offset to reduce your impact! Sign up for my newsletter below and I'll send you my 99 favorite travel tips in an ebook right away! Great article, Nate! You just taught me something new with step three. I’ll have to sign up and give them a whirl! Keep up the great work! Flexibility is the key. If you can change dates and locations it brings, as you point out, more options to choose from. Thanks for putting it all in one post for us! Absolutely! The more flexible you are, the cheaper flights you’ll find. Glad you enjoyed it!